The fat smash diet is a weight loss program that lasts for 90 days. It is based on a healthy approach that is sustainable for long term. It motivates the dieters to give up all the bad habits and promotes healthy changes in diet and lifestyle for weight loss. The fat smash diet was designed by Dr. Ian K. Smith, diet guru, and judge for the “Celebrity Fit Club” show that aired on VH1. Initially, the diet was developed for celebrities only so that they can get rid of the extra weight on the show. Dr. Ian K. Smith published “The Fat Smash Diet: The Last Diet You’ll Ever Need” in 2006 and “The Extreme Fat Smash Diet” in April 2007 for rapid weight loss in dieters who follow the fat smash diet without any modifications. What do you eat on the Fat Smash Diet? What is the Extreme Fat Smash diet? How does the Fat Smash diet help in weight loss? What are the benefits of the Fat Smash Diet? Is the Fat Smash Diet safe? The fat smash diet emphasizes on the correct selection of food and routine workouts so that the dieter can maintain a healthy weight after they have reached their target. It aims to change the relationship of the dieter with food and make him/her accustomed to exercises. The fat smash diet inspires the dieter to abolish bad habits while savoring food without overeating. The fat smash diet plan is easy to follow, and it includes a diversity of food items such as whole grains (barley, brown rice, millet, oatmeal, popcorn, whole-wheat bread, and pasta), lean meat, fresh poultry, and healthy fats, but it doesn’t specify the amount of daily calorie intake. The dieters are allowed to eat 4 to 5 small meals per day including uncooked, roasted, steamed or barbecued food along with fresh fruits and vegetables, but they are directed to avoid fried foods while following the fat smash diet. The fat smash diet suggests the dieters consume ‘good’ carbohydrates while avoiding ‘bad’ carbohydrates. It is recommended to eat smaller portions and only eat until just full. Each meal should be 3-4 hours apart, and the dinner should be taken one and one-half hours before sleeping. The dieter is suggested to have frequent meals by following a regular eating schedule to avoid hunger cravings. They should not skip meals and remain hungry all the time for rapid weight loss. The fat smash diet emphasizes the significance of routine exercises and suggests that one should continue his/her workout regimen. It also advised that the dieter should avoid stress to maintain psychological focus. The detoxification phase of fat smash diet lasts for 9 days, but the dieters can continue this phase for 1-2 extra weeks. In this phase, the dieter is only allowed to eat fruits, vegetables, low-fat yogurt, semi-skimmed milk, egg whites, brown porridge, and water. The idea is to eradicate toxins from processed foods to cleanse the body and avoid the consumption of alcohol and caffeine to lose weight easily. The dieter is also encouraged to do regular workouts five times in a week with each session of 30 minutes and a 20-25 minutes stroll after dinner to enhance metabolism. The dieter is allowed to consume all fruits and vegetables (raw, steamed or grilled) except potatoes and avocados along with fresh fruit or vegetable juice, oatmeal, egg whites, legumes, tofu, brown rice, low-fat milk, low-fat yogurt, low-fat virgin olive oil, low-fat dressing, herbs and spices, popcorn without butter, artificial sweetener, herbal tea and unlimited water during phase 1 of the fat smash diet. Canned food should be washed properly with water to remove excess salt. The food items that are forbidden in phase 1 includes meat, bread, cheese, fried food, nuts, fast food, desserts, soda, coffee, and alcohol. This phase of fat smash diet lasts for 3 weeks. In phase 2 the quantity of food is slightly increased along with an increase in the duration and intensity of exercise by 10-15%, each exercise session of 35 minutes duration for 5 times in a week to compensate the extra calories that are consumed during phase 2. Daily consumption of the following food items is advised during phase 2: lean meat, chicken or fish but no pork, unsweetened cereal, egg, cheese, peanut butter, avocado, unlimited herbs and spices, artificial sweetener and 2 tablespoons of salt per day. This phase lasts for 4 weeks and involves 4 meals per day. It increases the quantity of protein and whole grains, allows bigger portions and motivates the dieter to maximize the intake of fruits and vegetables. Exercise levels are increased by 25% with two exercise sessions each of 45 minutes duration to improve the metabolism. The following food items are allowed during phase 3: meat, eggs, whole grain bread, brown rice, whole wheat pasta, fresh fruit juice, low-fat milk, low-fat or nonfat cheese, fat-free mayo, dessert, diet soda, and coffee. Dr. Smith suggests that the phase 1 diet should be followed for at least 1 day in a week during phase 3 to accelerate the weight loss process. Phase 1-3 must be repeated if the target weight is not achieved by the climax of phase 3. This phase is for a lifetime and includes suggestions on how much and how often one should consume high-fat and calorie-rich foods. The dieter is allowed to consume the same food items as suggested in phase 1,2 and 3 along with white starches (e.g. potatoes, white rice) in limited quantity and wine or beer. Phase 4 also comprises of 1 hour of moderate to high-intensity exercise session for 5 times in a week. If the dieter regains the weight that is lost during the fat smash diet, then he/she can go to phase 1 for about a week. The extreme fat smash diet plan helps the dieters to lose 5.4 kg of weight in 3 weeks if followed precisely without any modifications. This diet aims to improve the metabolic rate by portion control (i.e. consumption of small meals in every 2-3 hours) and by maximizing the intake of high-fiber foods with a low glycemic index to maintain the blood sugar levels. The dieter needs to push themselves beyond their limits and out of their comfort zones to reach their goal. The meals and snacks should be consumed on time in every 2-3 hours to avoid hunger pangs. The dieter is recommended to take meals more frequently i.e. 4-5 small meals and 2 snacks per day. The dieter is also advised to do a 40-minute routine workout for strengthening and conditioning the heart, muscle, and lungs. Dr. Ian Smith’s book “Extreme Fat Smash Diet” includes 75 recipes to prepare the meals easily. This book also involves meal plans, research journals, a maintenance plan and policies that help the dieter to imitate the maintenance plan. The first cycle is a restrictive phase with a day-to-day menu which needs to be followed exactly without any substitutions. The dieter is suggested to perform 45-60 minutes of cardio exercises daily (such as swimming) and keep a record of everything that he/she consumes during the day. Some fruits such as banana and pineapples are forbidden during this stage. The second cycle is less restrictive and aims at healthy weight loss. The dieters are allowed to consume more fruits, bread, peanut butter and other calorie-rich foods that were prohibited in the previous phase. The dieters are suggested to drink sufficient quantity of water, but they should limit the consumption of caffeine. The third cycle is strict yet flexible including a variety of other foods and drinks. The dieter is suggested to perform exercises daily during both the second and third cycle. After finishing the three cycles, the dieter can move to the maintenance stage or repeat the cycle to lose more pounds of weight. The fat smash diet aims at limiting and restricting the food responsible for increasing the weight. It motivates the dieter to consume healthy food and perform the routine workout. Vegetarians and vegans can easily follow this diet by consuming proteins from alternate sources to compensate for meat, eggs and dairy products. The fat smash diet helps in healthy weight loss in less time and then helps to maintain a healthy weight after the cycle is over. The fat smash diet is initially strict and restrictive, but later it becomes more flexible and easy-to-follow. It is a sustainable approach that promotes the consumption of fruits and vegetables and includes only those food items that are easily available. The fat smash diet focuses on portion control thereby maintaining the daily calorie-intake. The people who consume unhealthy food can lose up to 10-15 lb within a year through portion control without changing their daily routine. Dr. Smith stated that dieters could easily lose up to 6-10lb during phase 1. He also claims that the fat smash diet helps the dieter to lead a healthier life as it detoxifies the body, promotes weight loss and encourages the dieters to maintain their weight. It is recommended that the dieter should minimize the intake of saturated fat and maximize the consumption of fruits and vegetables. Therefore, it reduces the risk of heart diseases, high blood pressure, high cholesterol levels and diabetes. The dieter is suggested to eat a well-balanced diet that has a few health risks. It is recommended by The National Institute of Health and most experts that weight loss at a moderate pace is healthy (i.e. 1-2 pounds per week) but rapid weight loss while following the extreme fat smash diet might be harmful to some people. Also, the risks coupled with the detoxification diets are not known. Hence, one should remain extra cautious while following the fat smash diet. It can be hard for some dieters to stick to the fat smash diet, mainly during the detoxification phases it is established on the idea of calorie restriction and therefore allows only little extravagance. The dieters who prefer to eat at restaurants might find this diet tough to follow. The extreme fat smash diet can be too extreme for many dieters, and therefore the dieters should never give up before reaching their target weight. 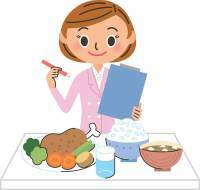 The recipes prescribed in Dr. Smith’s book are inconsistent as some phase 1 recipes do contain the forbidden food items. Hence, one should always consider a nutritionist before starting the fat smash diet. The workout routine becomes longer and harder as the dieter moves to the next stage. Therefore he/she should start with 30 minutes of cardio exercise and gradually increase the duration. Weight training should be included in the last phase of the diet plan. The fat smash diet is thought to be scientifically right as it suggests the dieter to eat fruits, vegetables, lean meat, and whole-grain foods. The dieters are recommended to eat smaller portions and perform a routine workout for faster weight loss. “The fat smash diet helps the dieter to restrict the calorie intake and consume nutrient-rich foods, do more aerobic exercises and smash unhealthy habits” as told by Tara Gidusof American Dietetic Association to AOL Diet & Fitness. There is no scientific evidence to support the fact that detoxification through fat smash diet can help a dieter to detoxify their body. 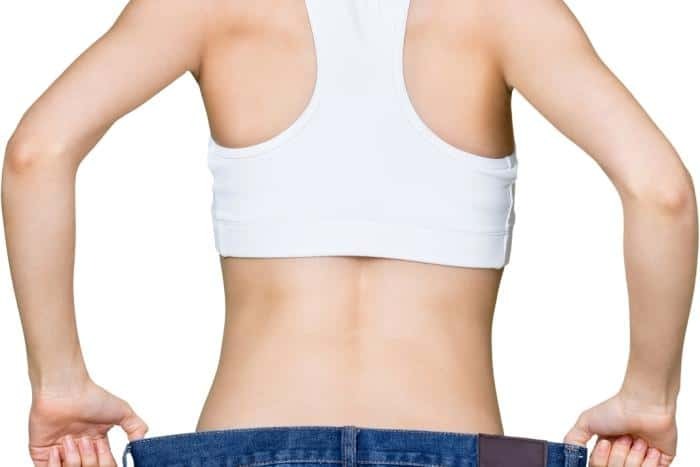 The National Institute of Health and most experts recommends that consistent weight loss at a moderate pace is healthy as this weight that is lost is not gained back easily. The diet critics gave mixed reviews to the fat smash diet, but Dr. Ian Smith is a trustworthy Harvard-trained doctor amid the public. A healthy diet coupled with exercise is the key to healthy weight. Have you tried Fat Smash Diet? If yes, do share your feedback on it through comments below. Previous articleIs 3 Day Diet Good For Weight Loss?